Barbara Bolliger is to become the new Head of the General Council of Helvetia Insurance. The lawyer will join Helvetia from Swissgrid Ltd and succeed Christophe Niquille who has taken the decision to retire. 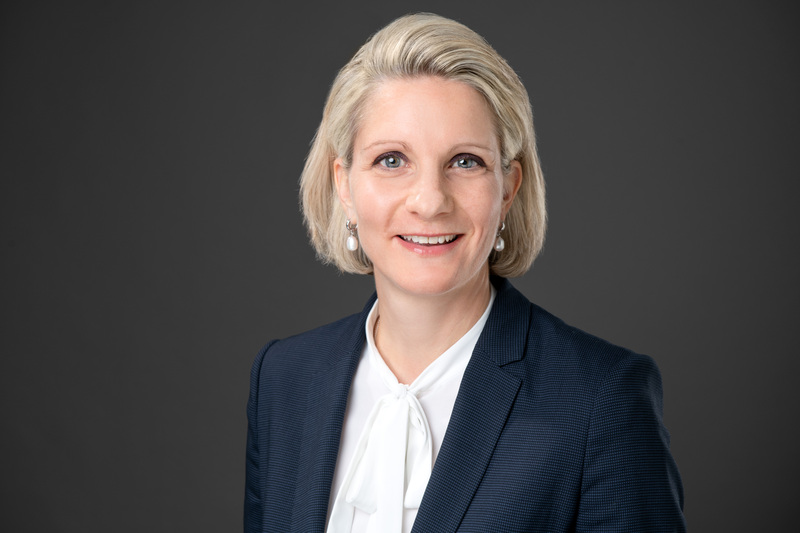 The lawyer Barbara Bolliger will assume the position of Head of the General Council at the Helvetia Group as of 1 July 2019. The 44-year-old will join Helvetia from Swissgrid Ltd where she has headed the company’s general council since 2009. Previously, Barbara Bolliger worked at a major corporate law firm in Zurich as a lawyer. Doris Russi Schurter, Chairwoman of the Board of Directors of the Helvetia Group, has expressed her delight at the appointment: "With an outstanding track record as a corporate secretary, Barbara Bolliger is the ideal appointment for this demanding task. The Board of Directors, the Executive Management and I are very much looking forward to working together with her." Christophe Niquille, the current Corporate Secretary at Helvetia, has decided to retire. He has worked for Helvetia for 18 years and as the company’s Corporate Secretary (Secretary of the Board of Directors) since 2009. "On behalf of the entire company, I would like to thank Christophe Niquille for his tremendous commitment to Helvetia. The General Council has contributed a great deal to the dynamic development of Helvetia. The additional tasks it performed during the merger with Nationale Suisse come to mind in particular. We wish him all the best for the next stage of his life", says Doris Russi Schurter. Helvetia is active in the life and non-life business, and also offers customised specialty lines and reinsurance cover. Its business activities focus on retail customers as well as small and medium-sized companies and larger corporates. With some 6,600 employees, the company provides services to more than 5 million customers. With a business volume of CHF 9.07 billion, Helvetia generated an IFRS result after tax of CHF 431.0 million in financial year 2018. The registered shares of Helvetia Holding are traded on the SIX Swiss Exchange under the symbol HELN.